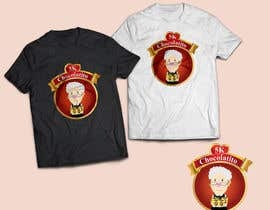 Design a t-shirt with minimal colors, preferably 3-4 colors. 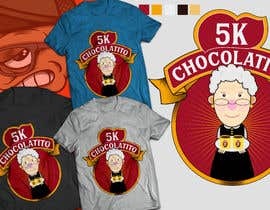 The design is of the "nestle chocolate abuelita" and should be large. The other is an animated version to help you redesign in a simpler form with less colors but the same look/pose of the original design. 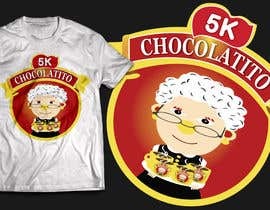 The text on it should be changed from "nestle" to "5K", and "abuelita" to "Chocolatito". Also take the santa hat off and fill in the image with the rest of her hair. Feel free to just include the face and body without the cups and tray in the image. Thanks. Hi! 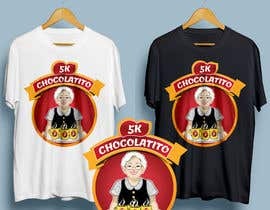 Do you want it to be text-based or should it like also include the logo with the granny?